She is known for her trademark smile which can be described as the brightest and broadest smile ever seen on planet earth. She is none other than Sheryl Underwood the comedian, actress, and TV host whose funny wits has left America in great awe. Although Sheryl has risen to become an important personality in the industry, she had one of the most traumatizing childhood, and you’re about to find out how. Furthermore, there is something you may not know about Sheryl Underwood; she is a military woman. Sheryl probably would have ascended to the rank of General of the Armies if she had continued in the military. Here are facts you need to know about the on-screen goddess. Sheryl Patrice Underwood was born on October 28, 1963, in Arkansas to her parents; Joyce Evelyn Underwood and Cleo Underwood. She would have had a twin but for death which took her twin away at birth. Underwood who was always inclined to get an education attended Governor State University in University Park, Ill, for her masters’ degree, after she got her B. Sc. She didn’t stop there, Sheryl enrolled in the military after college. And no, she was not just a spectator, Sheryl was a notable personality in the US Armed Forces. Although she has continued to make strides in the military, she lived out her dreams in the contemporary world of entertainment. Sheryl Underwood not only excelled in all ramifications, she owned and still owns the spotlight with her magnificence and uniqueness. Sheryl made her public debut in 1989 when she made it to the finals in the Miller Lite Comedy Search. She soon doubled down in business and entertainment and began taking up small roles. Sheryl won the BET Funniest Female Comedienne on Comic View award in 1994. She became popular for hosting BET Comic View and Holla. Today, she has hosted various shows and owns a lot of shows still up and running. She is popularly known today as co-host of the Emmy nominated CBS television show “The Talk.” She joined as one of the five hosts on the CBS daytime chat show in 2011, a year after the show’s debut in 2010. The show has amassed great prominence across the globe with over 3 million viewers. Sheryl has associated with many talk show producers and directors in the likes of Steve Harvey, Jamie Foxx, and many others. She is a weekly contributor on Steve Harvey’s Morning Show. Sheryl hosted an eponymous show “The Sheryl Underwood Show” on The Foxxhole, a comedy radio channel owned by Jamie Foxx. The show entailed satirical presentation of political affairs as well as a mix of music and comedy. Underwood airs on a wide range of radio and TV station across the US amounting to over 80 airings. Sheryl suffered a traumatic childhood having grown up with an abusive mother. She grew up with her brother Michael and sister Frankie who suffered from polio. Telling her story, Sheryl reveals that her mother, who was psychologically estranged from her father fabricated stories about him to make her (Sheryl) despise him. According to her, her mother lied that her father murdered her sister; all in a bid to ruin his image. However, when her mother saw that the father-daughter relationship was so strong, she sought ways to get back at him. She revealed that out of fury, her frustrated mother once stabbed her father, who fortunately survived the knife attack. These series of events caused their parents to divorce. Having had a troubled childhood, she grew into a very sensitive lady. Young Sheryl attended in Atwater, California, after which she attended the University of Illinois at Chicago where she got a bachelor’s degree. Sheryl is surely above average in terms of wealth amassed over the course of her blossoming career. Her TV shows and movies have kept her relevant and respected in the industry. Her net worth which has been estimated at $4 million, has a lot to do with her very many engagements. Sheryl not only has so many show airings but has some endorsements and has continued to feature in movies. She also has a lot of awards and accolades to her name. For her performance on The Talk, the TV guru bagged the 2016 People’s Choice Award for Favorite Daytime TV Hosting Team, she also won the NAACP Image Award winner for “Outstanding Talk Series.” In 2012, she was named as the 10 most influential talk show hosts on Twitter; and so many other awards. In 2017, she won the Daytime Emmy Award for Outstanding Entertainment Talk Show Host. 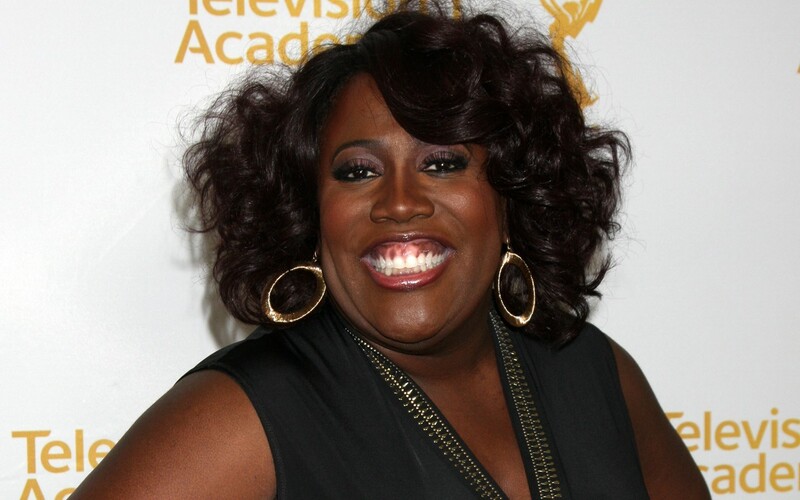 Sheryl Underwood is the Chief Executive Officer of Pack Rat Productions, Inc, a brand development company. She was made the 23rd International President of Zeta Phi Beta Sorority, Inc. in 2008. She is said to be the first full-time entertainer to hold the prestigious position. It could be due to her traumatic childhood or some other challenges, but Sheryl’s love life is quite enigmatic. She had enjoyed seven years of romantic relationship with her boyfriend who later became her husband. However, after three years of marriage, he died of clinical depression. Sheryl reveals that her husband committed suicide after suffering from depression. Her husbands’ name is only given as Michael. Sheryl Underwood had no kids with her late husband neither does she have any kids from other relationships. She is currently single and has been quite personal about her love life. Life may have thrown lots of lemons at the woman of steel but she has proved over time that with determination and hard work, one can achieve anything.